The success of an organization is strongly linked to how the management perceives the goals to be achieved and the ways devised to achieve those goals. These are two different but interrelated concepts of policy and strategy. Organizational success or failure is largely dependent on how the various functional areas in the organization are combined to produce and deliver value to different stakeholders. This integration of functions is taking place in a continuously changing and complex environment. The formulation and implementation of policies and strategies is an important issue as the organization strives to remain successful and grow in an increasingly complex, competitive and globalised world. It is therefore interdisciplinary by nature and requires an understanding of all functional areas. Organizational policy refers to the roles and responsibilities of top level management, the significant issues affecting organization wide performance and the decisions affecting organization in the long run. Organizational strategy is the strategy developed and implemented to the goals set by the organizational policy. More specifically, organizational strategy can be defined as the way a company creates value through the configuration and coordination of its various multi activities. Organizational policies and strategy provide guidelines for action. Unfavorable and ambiguous policies or strategy may affect the functioning of the employees adversely and they may experience stress. Organization wide policies are designed to achieve major organizational objectives. If an organization think about achieving something as involving ways, means and ends – policy is often engaged with the ‘ways’; strategy is concerned with the ‘means’; and finally planning is focused on the delivery of the ‘ends’. 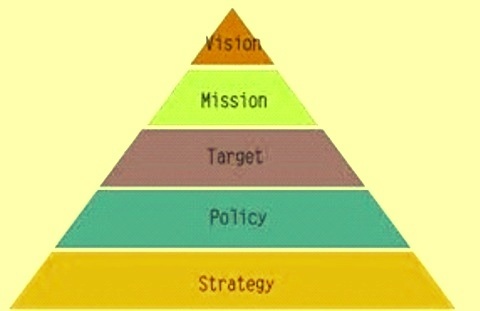 Fig 1 shows relationship of policy and strategy as compared with vision and mission. Policy is a course or principle of action adopted or proposed by an organization. It is a guiding principle used to set direction in the organization. A policy contains the ‘what’ and the ‘why’. It is developed within (i) a legal framework, (ii) an organizational mission, and an ideological framework. Policies are general statements that help guide management thought process in decision making. Policies are guidelines and help the organization to achieve its goals. Policies are normally developed within the following regulatory environment. There are constants in good policy making. They are an intellectual rigour about issues, a commitment to procedural integrity and a willingness to experiment and learn through implementation and adaptation. Established practice (‘we have always done it this way’) should not be mistaken for policy. Policy is an intentional, designed to achieve a stated or understood purpose. It involves decisions and their consequences. It is structured and orderly, political in nature, and dynamic. It is a statement by the organization about its intentions. A policy includes the following. Statements about (i) who is responsible for implementing the policy, (ii) how the policy will be implemented (strategies), (iii) how the policy will be communicated, (iv) codes, standards and benchmarks by which the policy implementation can be evaluated, and (v) when and how the policy will be reviewed. In an organization it is necessary that a policy must be implemented and communicated for which a strategy is needed. In a policy everyone must know his responsibilities and his accountabilities. Also the responsibility for the implementation of the policy must be assigned to someone who will be primarily accountable for the implementation of the policy. Policies align with the vision of the organization. They set the organization’s overarching direction and drive the way the organization performs. Like a compass pointing north, policies lead the way to the organization’s mission. By delineating a corridor of navigation or fields of interest and the linkages among them, these policies reduce uncertainty in strategy formulation and further downstream along the value chain. Policies should be mission driven rather in reaction to surprise events or undue pressure from change advocates. They should delineate the coping mechanisms to deal within unexpected issues, and the conditions under which ad hoc decisions can, within limits, override policy, as in major crises or pilot experiments. Policies must be coherent with equitable, accountable and effective governance. Policies permit the organization to focus the efforts on the most promising environmentally friendly avenues and on the combination of value propositions. A policy tells employees what they should and should not do in order to contribute to the achievement of organizational goals. It says something about how goals will be attained. It is a helpful guide that makes the strategy of the organization explicit and provides direction to the employees. A policy lies at the core of all decisions taken by the management of the organization. It serves as a guide while taking decisions though the policy is not a statement that is written in black and white that has to be applied in day to day operations. Policy statement is like a guidebook that helps management to take important decisions and clears all doubts as to the direction the organization should take. The characteristics of a policy are given below. It offers guidelines for management to take appropriate decisions. It is a general course of action with no defined time limits. It is a guide to action in areas of repetitive activity. Once policy decisions are formulated these can be delegated and implemented by others independently. Strategy is viewed as the value based (longer term) approach to how a vision (policy goal) can be realized in broad terms e.g. specification and setting up of action directions and various programmes. Strategy is a plan of action designed to achieve a long term or overall aim. It is a methodology used consistently to achieve a long term or overall objective or aim. It is a plan for implementing a policy. Strategy is meant to achieve the organizational mission and objectives by the adoption of various and different courses of action with proper allocation of resources. The plan of action devised by the management to achieve the goals set forward is termed as the strategy of the organization. There can be different strategies to achieve the goals set by the organization following the policy guidelines though the policy is a long term concept that remains the same in a constant manner. Strategy is better labeled as plan of action while the policy is a guideline that is to be kept in mind all the time. Strategies define the overall character, mission and direction of an enterprise. The focus on an organization’s long term relationship with its external environment specifies what an organization will be doing in future, reflecting the kind of enterprise the managers envision. Strategies are formulated and implemented with a view to achieve specific goals. An appropriate strategy will give the organization an advantage over the competitors. It will enable the organization to marshal the resources so that they are more effectively utilized. In other words, the basic purposes of a strategy are to deploy human as well as physical resources in order to maximize the chances of achieving a selected objective in the face of difficulties. The characteristics associated with the strategy are given below. It deals with strategic decisions that decide the long term health of the organization. It is a comprehensive plan of action designed to meet certain specific goals. It is a means of putting a policy into effect within certain time limits. It deals with crucial decisions whose implementation requires constant attention of top management. Strategy of the organization is reflective of the thinking of those at the top of its management and the action that the management plans to take. It is the job of the management to set goals that are sought to be achieved and the strategy is a statement that lets stakeholders know the thinking of the management as to how they plan to achieve these goals. To an investor or a shareholder, the strategy document is an important reminder regarding the thinking process of men who matter in the organization. Usually strategies are made beforehand where there are plan A, plan B, and plan C ready to be applied in different circumstances. Competitive advantage is a key driver to forming an organizational strategy. Strategy consists of a set of long range decisions which establish actions to exploit opportunities or combat threats in response to environmental forces and developments. These decisions are the result of a complex decision making process designed to establish organizational goals and long range plans for resource allocation. A valid strategy can gain extraordinary results for the organization whose general level of competence is only average. The following are the important issues related to the strategy. Internal consistency – It refers to the cumulative impact of individual policies on organizational goals, and in a well worked out strategy, each policy fits into an integrated pattern. A strategy must be judged on the basis of its relationships to the policies and goals of the organization. Consistency with the environment – The strategy should be consistent with the environment, that is, this should make sense with respect to what is going on outside. Consistency with the environment has both static and dynamic aspects. In a static sense, it implies judging the strategy with its suitability to the existing environment. Appropriateness in the light of available resources – The strategy must be appropriate in the light of available resources. Resources are those things that help an organization achieve its objectives. There are two basic issues which management must decide in relating strategy and resources. The three critical resources in an organization are money, competence, and physical facilities. Satisfactory degree of risk – Strategy and resources, taken together, determine the degree of risk which the organization is under taking. Thus, each organization must decide the degree of risk it can take. This, in turn, depends upon several factors. Appropriate time horizon: A good strategy not only provides what objectives would be achieved, it also indicates when objective would be achieved. This is due to the fact that a significant part of every strategy is the time horizon on which it is based. In choosing an appropriate time horizon, the organization must pay careful attention to the goals being pursued. Goals have time based utility and must be established far enough in advance to allow the organization to adjust to them. Workability – The strategy must have enough degree of workability. The workability of a strategy can be measured in terms of results which are obtained. However, the results measure two factors namely the strategy selected and the skill with which it is being executed. If the results are not up to standards, both these factors can be examined. Policy is the spheres or scope within which decisions are taken by the employees in the organization. Strategy is an action that managers and directors take to achieve one or more of the organizational goals. A strategy may exist without a policy. Strategy and policy may in some cases be coexisting. A strategy deals primarily with environmental constraints and oppor­tunities whereas a policy is concerned mainly with internal management. A policy is a contingent decision and it lays down the response to be made whenever the specified contingency arises. But a strategy is designed to deal with situations about which all facts are not known and, therefore, alternatives cannot be evaluated in advance. However, both policy and strategy are designed to achieve organizational objectives. The process of their formulation is similar. In strategic decisions the identification and analysis of the factors bearing on the problem are more difficult than in case of policy decisions.